A completely plastic free and zero waste natural crystal deodorant stick. 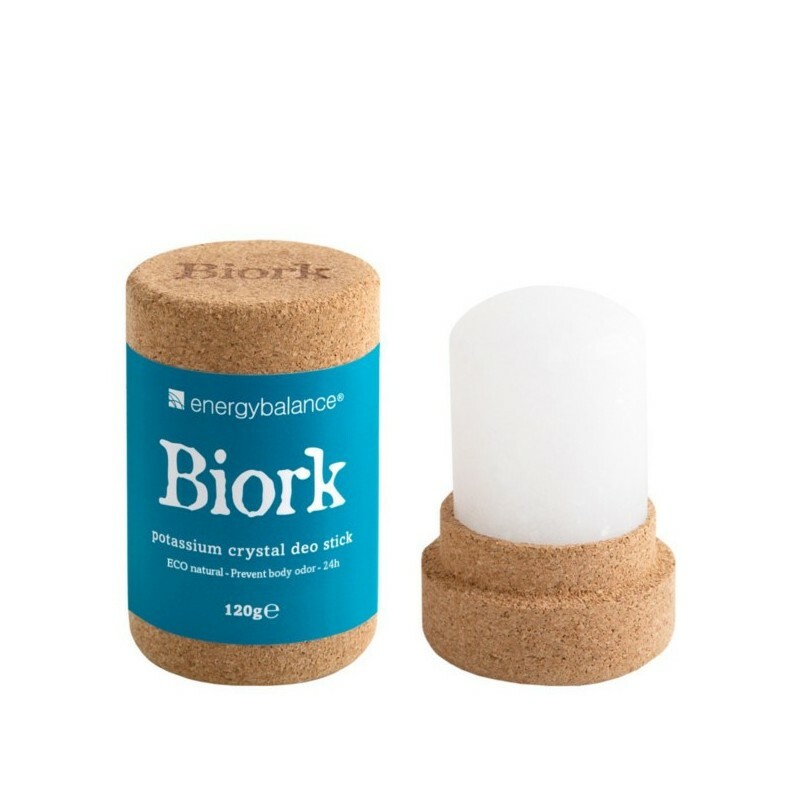 Unscented and hypoallergenic, this truly eco deodorant is housed in a 100% recyclable and biodegradable cork container. Free from aluminum chlorohydrate, alcohol, perfumes, parabens, preservatives and dyes. Suitable for unisex use and will last for 12+ months. Beautiful minimalist design. 120g. World Wildlife Fund approved cork. Zero waste - packaging is completely biodegradable and plastic free. 120g. 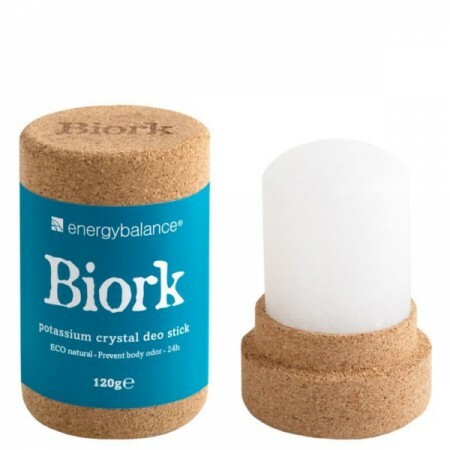 8cm H x 5cm D.
100% Pure potassium alum crystal stick with protective natural cork container. The cork packaging can be upcycled for DIY beauty products, craft use or recycled with Biome. If you dont sweat too much, and don't have too much body odour, then this is for you. Biork has a natural salty smell to it when applied, so it doesn't work amazingly if you have a lot of body odour. I tend to use it more on colder days, because its easy to apply and i don't sweat it off/smell through it. When it's warmer, I use a paste deodorant. This crystal WILL LAST YOU 12+ MONTHS!